Why sell your property through a real estate agent when selling privately is a very viable choice. Cost effective professional real estate signage and products delivered directly to your door - fast. Search our real estate listings for private house sales in New Zealand. Or list your own property for private sale - for free. Why sell your property through a real estate agent when selling privately is a very viable choice. Selling your own home or property privately not only saves real estate commission fees but people choosing the homesell FSBO (For Sale By Owner) option means they are in control - and the process itself is not hard to follow. 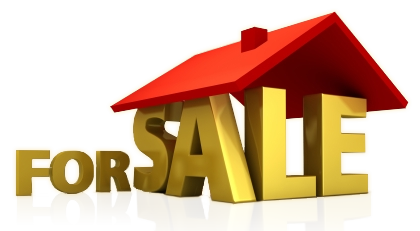 Don't just ring a real estate agent - sell your own property. 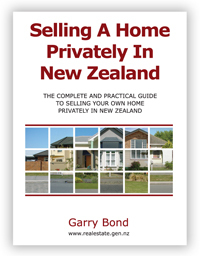 Read more about why you should be selling your house privately in New Zealand and consider buying the book 'Selling a Home Privately in New Zealand' by Garry Bond. Written specifically for the New Zealand market and regularly updated and reprinted, the 130 page book 'Selling a Home Privately in New Zealand' is a must read. The book 'Selling a Home Privately in New Zealand' can be purchased for just $39 (free delivery). Place your order now. Read book reviews and media releases. Real estate signage is very important and many properties sales eventuate from people simply driving past and seeing a for sale sign. Signs reflect your professional attitude and present a good image. Ultimately, potential buyers should not even be able to tell you are selling your house privately. DIY Real Estate is able to supply cost effective real estate signs and sales aids including For Sale signs, Open Home signs and Sign Stands, Brochures and Brochure Holders. 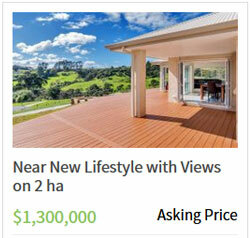 DIY Real Estate feature properties for sale from around New Zealand that are for sale privately. Anyone who has property for sale privately can list for free and those who purchase signage are entitled to a premium property listing for free.